Blowout Sale! 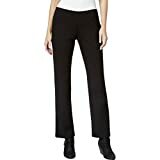 Up to 51% off on Pants & Capris at Boot Bag. Top brands include Kovac Industries, 24k By Mr. K, IguanaMed, INC International Concepts, J. LOVNY, Sutton Studio, Lee, NE PEOPLE, NYGARD SLIMS, New York & Company, NYGÅRD SLIMS, LEE, & Eileen Fisher. Hurry! Limited time offers. Offers valid only while supplies last.